As any elite athlete knows - to reach your peak, you must engage a coach. 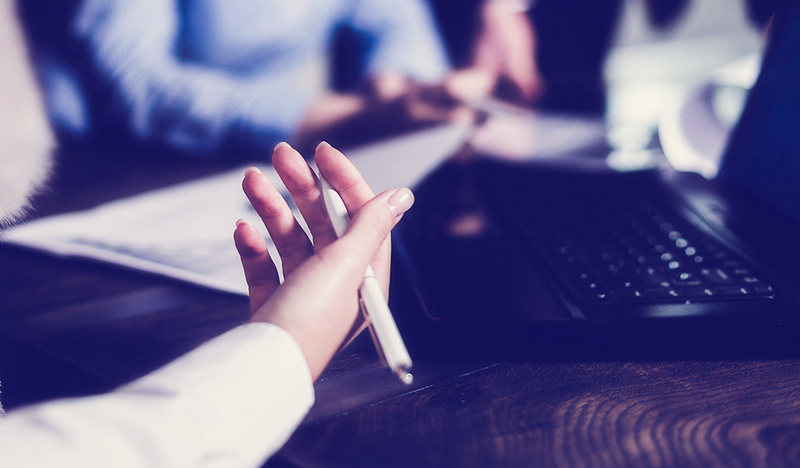 Performing in business should attract the same commitment and support framework, yet in the naturopathic industry this isn't always the case. 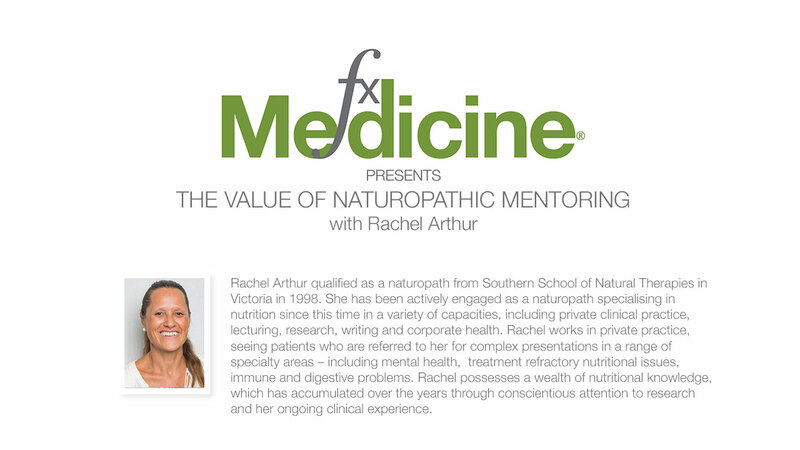 Rachel Arthur, an accomplished naturopathic clinician and researcher, recognised this industry flaw and set about giving back to her profession by setting up a mentorship program to help her peers grow and realise their full potential. 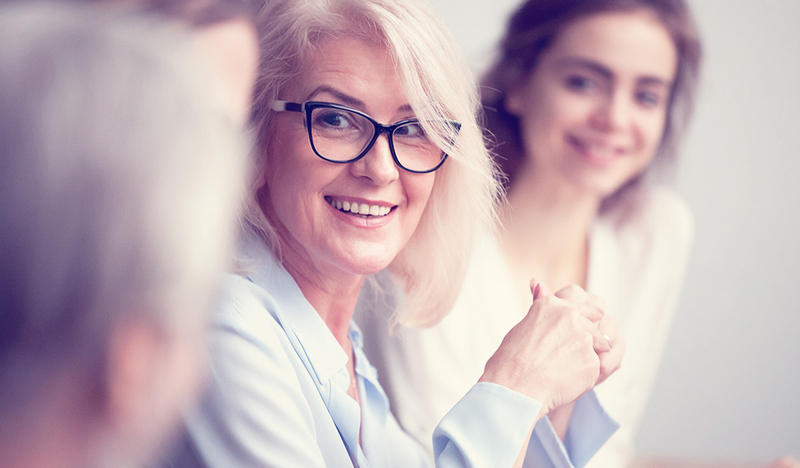 Today's podcast highlights the value that having a competent mentor can bring to your business or clinical skills, and what to look for when seeking one out. [07:40] What led Rachel to natural medicine? [42:22] What do mentees get from mentoring? [45:38] Final thanks to Rachel. Andrew: This is FX Medicine. I'm Andrew Whitfield-Cook. Joining me on the line today from Northern Rivers, New South Wales is Rachel Arthur. Rachel Arthur has had wonderful teachers and mentors over the past twenty years, including Doctor Tini Gruner. 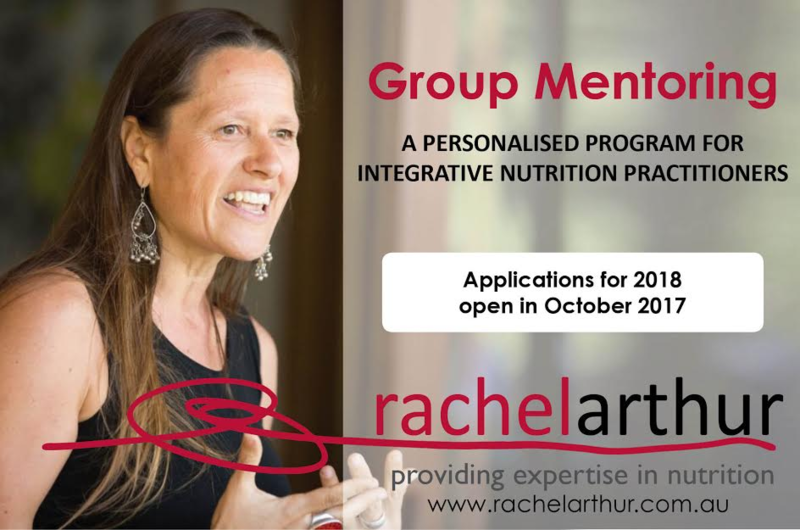 Each of Rachel's past and present mentors have fed her passion for critical thinking and independent education in Naturopathy, making it a focus in Rachel's ongoing career. She contributed a decade of teaching naturopathy across SSNT, down in Victoria, Endeavour, Monash University, Victoria University, and lastly, Southern Cross University in Lismore, New South Wales. Rachel's family have a running joke that wherever she goes, she manages to come across her past students. They cover a wide distribution across Australia and New Zealand, and encompass a range of professions including naturopaths, doctors, and allied health professionals. Whether it's circulating free weekly blogs to her professional peers about important topics she's just discovered that can improve the way we practice; being a key speaker at the major integrated medical conferences, or co-founding the extraordinary Australian Naturopathic Summit, Rachel sees every platform as an opportunity to improve the knowledge base of the Naturopathic and integrated professional community, as well as to raise the standing of our profession by virtue of, hopefully, and I'll say definitely, being a worthy ambassador. Welcome, Rachel to FX Medicine. How are you? Rachel: I'm good, thanks, Andrew. Andrew: …And the thing that I liked from the very start was, you were very methodological in your approach. But one of the things that I saw in, I'm going to be mean here, in ‘a profession tainted by industry’, is that you couldn't be bought, and that's always...I loved that about you. Rachel: Thanks, Andrew. Yes. I think that, you know, if that's the lasting impression you have, that I can't be bought, then I've succeeded, at least in that regard, which is fantastic. Andrew: We need more like you. Rachel: I think we do need more people like us because I think naturopathy/naturopathic medicine, really deserves to be as good as it can be. I think sometimes vested interests hold us back. It's not just criticism from without, from people beyond our industry, that hold naturopathy back. I think sometimes it is, you know, lesser quality evidence or, kind of, you know, the wrong sort of, guidance that we're getting from vested interests within as well, and I think that that can steer us off course sometimes. Andrew: Absolutely. This is one thing that gets me as a registered nurse. Can we please just think about the patient for a while? But it's, as you say, you know, we're drawn off track so often. And I was talking to Ruth Trickey not too long ago, retired, happily, but she was saying, "If I hear the word 'naturopathic industry' one more time I'm going to scream. “It's the naturopathic profession. You should hold yourselves in high regard. You should protect it with the honour which it deserves." And this is what I love about you. You really treat your naturopathic base as an honorary thing, as almost a custodial thing that you help patients with it and, indeed, now help your colleagues with. So, well done. Rachel: I think the onus is upon us to look after it. Nobody else is going to look after the naturopathic profession for us. You know, there's nothing in it for anybody else, really. And I think that that's where we have to take some responsibility and steer the profession in the best direction. Whether that's about, you know, the way that we choose to practice, the way that we represent ourselves in the public forum, the way that we educate ourselves, all of those things that the bars that we set for our own...you know, that we should be setting for our own profession. I think it really, really has to come from within, and that's the best place for it to come from. The people who really care about us, you know, and about the progression of naturopathic medicine, there's not going to be anybody outside of, actually, a collection of the best practitioners. Andrew: So where...I've gotta ask. Were you always this inquisitive and questioning of not just your surrounding, not just your knowledge, but also I'm getting the idea that you might have been one who questioned authority from very early days? Did you get in trouble a lot? Rachel: Where on earth would you get that idea from Andrew? Have you been chatting to my father? I think that, you know, when people ask me this question about why I ended up in naturopathy in the first place, I think that, for all of us, probably a degree of ‘maverick’. You know, the idea of being a maverick resonates quite strongly as being an independent thinker. You know, there is probably a characteristic that most of us share that attracted us to the profession in the first place. And I think that, you know, for me, that certainly was there, you know. And lo and behold, when I left my...when I left high school, when I just started to, kind of, wandering aimlessly through Australia, I landed a course in the Northern Rivers area, in good old Byron Bay, and nothing fuelled that more than landing in this region where I went, "Oh, okay. This isn't just a ‘me’ thing, this is a whole, you know, movement of people who question, you know, the mainstream, who practice alternative thinking," and that certainly really appealed to me. I think, put that together with the fact that, you know, so that, sort of, my value set is independent thought and, you know, questioning everything. But put that together with my skill set, which I already knew when I left high school really was science...then I thought oh, gosh, well, you know, that's a funny sort of marriage. Or, not really, it's a pretty natural sort of marriage because science is, you know, innately inquisitive and questions everything. But, you know, if I wanted to work in health and question everything, then naturopathy seems like the obvious love child of that marriage, really. So, you know, that's kind of how the marriage of the values and skills came together. Andrew: Did an appreciation for natural medicine come from your parents, or was this something that was vastly different from what their stance was? Rachel: No, absolutely. I joke all the time with my kids where, you know, whenever they think they've got it tough, and Grandma would be so much more generous with them, I think, well, Grandma may be generous but, let me tell you, as a mum, she was pretty much, you know, brown paper bag, health food store shopping - all our lives. You know, everything was made from scratch. She had a very healthy inner compass about, you know, what was good food. What was good health, what was, you know, healthy sort of practice, and she adhered to that very, very strongly when we were growing up. You know, God forbid I should end up following the path that my mother set. You know, none of us intend to do that really. But, you know, there's no doubt that that imprinted on me very strongly, where I went, “okay, you know, I really identify with, you know, making conscious choices around how to live well and how to do things that promote our health, and how to avoid things that detract from it”, and then ending up with the knowledge to really substantiate those ideas, and develop them a lot further, sort of, brought me to this place now. Andrew: Yeah, there’s one thing about your education at Southern Cross University and that is that you were of the cohort, dare I say that word, that were taught by Professor Steven Myers, and there really is something different about these naturopaths that have come out of Southern Cross Uni that were taught by him or under his leadership. What was it that was different? Rachel: Well, I think, for a start, just to make a minor correction, I wasn't directly taught by Steven. Steven was one of my thesis supervisors, together with Doctor Tini Gruner and Holly Muggleston as well. But I certainly had quite a bit of contact with Steven and, you know, he was obviously very influential in the set-up of that degree program at Southern Cross University. And then he had a lot of amazing teachers come in, you know, together with him and underneath him to really, you know, deliver the vision that he had about that course. I have to agree with you in the sense that I think what Southern Cross University did very well, certainly in the early days, was develop a course, and therefore produce graduates that really appreciated and practiced critical thinking. And I think that, you know, I remember a great cartoon, actually, that he used to put up, you know, when I used to teach, which is a teacher...a lecturer standing over a student. You know, he's sitting at the keyboard and it says, "Just press this to learn critical thinking." You know, teaching critical thinking is incredibly difficult, actually, and getting people to appreciate its value and to be able to go out there and practice it is no mean feat. But I think whatever the special mix was at Southern Cross University, they managed to succeed at doing that. And so, you know, certainly, as a general trend across their graduates, I would say that that's really evident in the way that they approach naturopathic medicine and in the careers that have followed. You know. I think, you know, any tertiary institution that teaches naturopathy can produce outstanding graduates, and I've certainly seen them come from all institutions. I do think, probably, Southern Cross had more than their fair share of outstanding graduates who have gone on to do pretty remarkable things. Andrew: And, you know, to me, it's so sad that it's no longer being taught. You know, particularly when you got the likes of people like Paul Larick, you know, Viv Griffiths teaching acupuncture, Tini [Gruner] teaching naturopathy, there were so many great lecturers there, and there was such a...it was a hot pot of resources. It really was. Rachel: Yes. And it is, I think, one of the big issues, too, you know, when we're talking about the real girth of independent education and independent resources for naturopaths currently, you know, one of the things you have to even look to is who's behind the undergraduate education. So when I was at university, you know, that was independent. Now that it's only being taught...the undergraduate is only being offered through private colleges, that already, changes that landscape quite dramatically. When you say, "Well, is, you know...are there other influences coming in, in terms of changing the quality of that undergraduate education," and in fact, you know, I've had discussions with people who work in that field of course development in those private colleges, and they feel that the very nature of naturopathy is being changed. Because of, all sorts of other determinants that have nothing to do with where naturopathy came from, what we practice as naturopaths now in the current day. It's about financial things or it's about, you know, other confounders that really shouldn't be messing with the curriculum. So, you know, it is very sad that it's no longer being taught in a university, at any university in Australia, because I think that was something that helped to protect, to a certain extent, the identity of naturopathic medicine and certainly, as you say, on some of those really important guardians that we had there. Andrew: I do like the way, though, that at least one of the colleges has now got a university, it's not a chair, it's an office, of research that's aligned with University of Technology Sydney. And they do, I got to say, they're doing good things, but I do take your point that there is this issue of about what's driving the educational curriculum? Rachel: I just think it's a question...it's just something that we need to remain mindful of. About, yeah, about who's writing that curriculum, steering that curriculum, and based on what? Andrew: So with regards to feeling that you were prepared after you'd finished your initial course at Southern Schools of Natural Therapy, that being one of the private colleges, how then did you feel regarding your migration to SCU with regards to preparedness for practice? Rachel: In terms of feeling prepared for practice when I finished my undergraduate, I think I felt optimistic and I felt very excited, but I think I felt...I experienced something that most graduates do, which is feeling, you know, incredibly inept at the same time and under-cooked. Because there is such a quantum leap, of course, between, sitting and listening to theory and passing exams for, you know, four years. A brief period of supervision in a student clinic and then, you know, suddenly, this great quantum leap out into the real world. You know, so I think, like most people, you know, that that feels a little bit like free-falling to begin with. Particularly because I think...you know, I enjoyed everything, really, well, that's probably a big fat lie. I'm sure there are some things I truly didn't enjoy about being at Southern School of Natural Therapies. But on the whole, it was a great course with great teachers. And the one thing that I really enjoyed was certainly being supervised in clinic because, of course, this is where you get the synthesis of ideas. You start to really test the water with some of your ideas, not just on the patient, but you really get to talk, you know, as an equal with your clinic supervisor. That was certainly the positive experience I had in my undergraduate. And, you know, that obviously is something that is extended in other professions. Whether it's pharmacy or whether it's medicine. That opportunity for supervision, mentorship, you know, internship - is, you know, has a formal structure around it that goes on for a lot longer than we were privy to in the undergraduate for naturopathy. So for me, walking away and going on, I was just really getting into that and really starting to benefit from supervisors who had been in practice for 10 to 20 years. You know to walk away from that and then say, "Over to you," and, "You're on your own," that's pretty daunting, I think, for most people. And more to the point, it's not ideal, and the whole idea that new graduates go out and effectively try to reinvent the wheel themselves, is just such a nonsensical model for the naturopathic profession. Andrew: Nothing...I think there is no greater shame than not having a defined structure. A support structure to lean on, to have as part of the study of naturopathy. Like, for instance, you know, a pharmacist has pre-reg, a GP has the internship. Me as an RN, I remember the probation period, you know. They all had that sort of supervisory time, given that they had full responsibility. So there was always somebody to lean on, to learn from, to watch over your shoulder to make sure you're doing, you know, safe practice and best practice for your patients. So, I guess we're gonna leap from here into that, you've developed a mentorship program, and I think this is so critical for naturopaths to have. So what drove you to developing the mentorship program? Rachel: I think the biggest thing, really, is the sense that...I think there's an unfortunate sense sometimes, not amongst all people, but sometimes out there amongst the naturopathic community, of a need to protect territory, if that makes sense? You know, “I’ve discovered this thing and I'm going to protect it because, if I share it, somehow it's a threat to my sustainability in practice or my sustainability in business”. And, probably, you know, I would have subscribed to that, too, when I first graduated, not knowing any differently. But, you know, over the years, what has probably impressed me the most has been those people whom I've had contact with, who have been outrageously successful because they kept sharing, actually. So, because they did the opposite. And, you know, the whole idea was, if I've learned...if I want to pass this on to you, because why wouldn't I? Then we all take a step forward. And then, I know also that I open up the channels of communication and, you know, you'll pass information back to me and, you know, we'll see a bidirectional gain. So, really, you know, I think, to me it was this notion that everybody should be benefiting from, kind of, the knowledge of people who've gone before them. I would hate to graduate now and, you know, not know what I've learned, you know, what I've managed to pick up in the last 20 years. I've learned a lot since graduating, and I don't see why anybody needs to go and learn that for themselves. You know, to take 20 years themselves to go and learn that as well. Of course, there are some things we can only learn, you know, the hard way and do that ourselves, but there's a lot, actually, that we can add to the undergraduate knowledge that would really improve the whole standing of naturopathic professionals. And I think that we all recognise, as you said, whether it's nursing, whether it's pharmacy, whether it's medicine, you know, people graduate and they say, "I feel like, you know, all my learning came afterwards." And I say, "That's normal. That's how health works." No undergraduate in the world can teach you...no undergraduate degree in the world can encompass it all. The learning does have to go on, but there are clever ways to do that, and I think that really is through sharing, you know, sharing the wisdom and really being exposed to the best of our profession by people who are a few steps ahead of you, or maybe many, many steps ahead you, offering a hand up and saying, "Look, you know, in retrospect, I've learned these things, and this will really help you." So that was probably the major motivator behind offering mentoring because, as you know, Andrew, I've delivered education for a long time, as you said, both in tertiary institutions and also conferences and things like that. And that's all wonderful stuff and I really enjoy it. But it is theoretical, and it misses the mark in terms of that, sort of, very potent synergistic learning experience that the best sort of clinical supervision offers. You know, so, we can all sit and talk theory and it's really helpful and we know that, but I really think accelerated learning comes from application. And so, the mentorship program and the mentoring that I offer is all about application. It's all case-based, and it's watching us, doing case studies and doing them from the ground up. When the patient walks into the room, this is how they presented, this is their blood work, and then when what are the questions that we need to ask? And what are the differentials that came up? You know, it's the application, I think, that we got a little bit...most of us feel, that we got a little bit short-changed on. Andrew: You know, one of the things that I remember nowadays is assisting an orthopaedic surgeon when I was nursing. And he was known for being rather brash and everybody disliked...well, most people disliked him. I don't know what it was but he seemed...I got on well with him. And he said, "So, what have you learned?" And I didn't know how to answer that question. It took me decades to realise that he was talking, he wasn't asking me what I had actually learned. He was saying, "What was the conceptual sort of framework that you'd learned from doing nursing?" And I think the thing that it taught me...that my course taught me was, actually, how to learn. Of course, it then takes, as you say, the application. I've got to disagree with you on one thing though, and that was you talk about the talks and lectures that you've done at conferences, mainly on a conceptual sort of platform, if you like. I have to disagree with you. 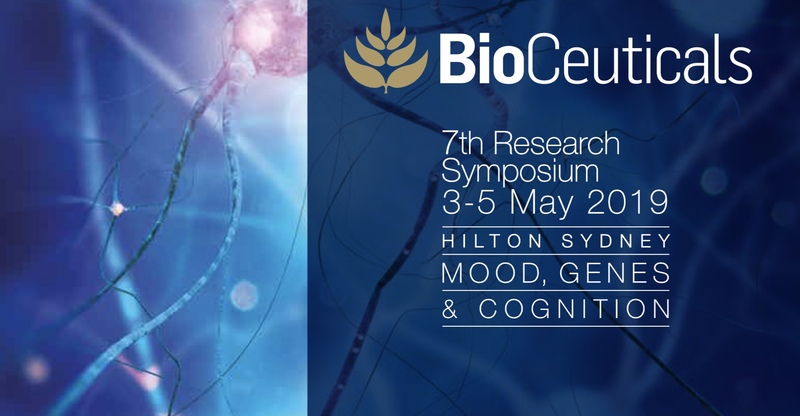 You gave one of the stand-out lectures at the recent Mindd conference in Sydney. It was so practically based. It was so clinically appropriate that every single practitioner in that room took a "bang, bang, bang" approach. A "bang, bang, bang" lesson from your talk, and that, it was something that you could package up, take home and, bang, implement it the next day in clinic. And that's one of the things that really impressed me about you. It's this pragmatic, "Get out of the way, I'm busy," sort of thing, approach to patient health. But, it is very pragmatically based. Rachel: It's very true. I think my kids would agree with you. But look, Andrew, I'm really pleased that you say that because I think that delivering education and mentoring is a real skill, and I think that it's a skill that I continue to work on myself. I don't think that I've mastered it yet, I'll let you know if I ever do. But what you said there is something that is really important to me, and helps me whether I'm mentoring people one on one, whether I'm doing my group program, my mentorship program, whether I'm speaking at conferences. I always ask myself, "What the hell are they going to do with this information?" If they cannot...if it's all just pontificating and they go...and I said this at times, if someone in the audience walks away and says, "Wow, she's amazing," then I've actually failed because it's not about wowing people with information. We can all do that. That's actually really easy to do. What I really think is priority number one is; empowerment. So, you know, one of the things that steers my development of every educational thing I deliver is, I ask myself, “What are they going to do differently tomorrow?” Have you given them something concrete that they can go out and say, "I got that. I know exactly...yep, that's a different test. That's a different perspective. I'm going to change that dose. I'm going to - whatever," and I've got something very, very practical to pass out. So I'm pleased that you said it because I think that, you know, that is such...that's the privilege and the honour of being an educator, and it's something that not everybody adheres to but I think it's really important. If somebody is giving you the honour of electing to you to be their mentor or, you know, paying to come and see you, then you have to really make sure that you meet them where they're at. That you give them something that's immediately acceptable and relevant to their practice, and, you know, they can clearly turn around and use that tomorrow. So, you know, I'm pleased that I hit the mark when you saw me at Mindd. Andrew: Oh, you do. And one of the things I do respect you most for is your intense curiosity, and it's not just about the condition but I can almost see your mind ticking. You know, questioning even yourself. And to me, it just rings true that it's for the benefit of your patients that you're seeing right in front of you with that condition. How can you help that person there? How do you culture that intense curiosity in those that you're mentoring? Rachel: Well, I think one of the big things is giving people...helping people to develop or to have confidence in their critical thinking. So saying to people...reminding people that naturopathy is essentially...certainly naturopathic diagnosis is, way, way, way outside of the box, right? There is no...As much as I love scientific studies, as you know I'm a bit of a nerd. But there's no randomised clinical trial on your patient in front of you anywhere. There's no randomised clinical trial that you can look at that has the very specific combination of factors in your patient that's sitting in front of you that says, "We know how to treat this." So, every time you see a patient, they are unique, and you have to sit down and create that unique, you know, perspective about naturopathic differentials and the mainstream differential diagnoses, and you have to develop that deeper understanding about, biochemically, what's really going on for them, and psychosocially and all those sorts of things. So by saying to people, "This is essentially why you got into naturopathy," and reminding people that, you know, we don't believe in a "one size fits all”. We don't believe in protocols because, if we did, we would have gone and done another degree. Naturopathy, really, in essence, is all about individuality, individual biochemistry, and, you know, really getting people to have confidence in their ability to recognise those flags for, you know, markers of that individual biochemistry, and being able to pin things together. You know, I'm a big fan of crazy mind maps and spider grams, and really helping other practitioners to get confidence in their ability to pull all those seemingly disconnect dots together and say, "Yes, here's that individual sitting in front of me. Here's a unique kind of milieu, and I really can see the sense in how it inter-relates, and where to start in terms of treatment." So it's really just bringing people away from, you know, I call them "the barring masses". I mean, that's a terrible term. But I really mean it that, you know, some conferences - companies conferences in Australia feel like, you know, we're herding sheep. You know, when people are kind of thrown a protocol and told to repeat the protocol and, "Let's go through the protocol again," I mean, that is really the antithesis of naturopathic medicine. Naturopathic medicine is all about individuality, and so with all my mentees, and I'm so lucky to mentor, just remind them of that, bring them back to the individual in the room, and really get them to develop their competence and confidence around bringing blood tests. You know, looking for clues in the case taking. Piecing all of it together to understand that, you know, this is someone that is totally unique and I have to therefore develop a unique plan for. And I think that my people really fly with that. You know, that certainly being my experience is they just needed more examples, more...a longer period of supervision where they could apply the synthesis of ideas. Because on your own, taking that leap from theory into practice, it's pretty easy to fall down in between. Andrew: What about the therapeutic use of self-doubt? And I guess I should explain this. You know, I've had friends say, "You shouldn't say the word "self-doubt". You should say the word "reassessment"." I actually prefer the use of self-doubt because it tends to keep you more honest, and I know that's a sort of negative...what you call it, a double negative. But I actually have that sort of thing, am I really seeing what's real or am I just seeing what I'd like to see? How do you teach people that skill? Rachel: Yeah. That's a really good question. I think, gee, I don't know how I teach people that skill specifically, probably by modelling it myself. I'm very good at saying, "You know, this is really not my strength." I'll say that, and I said that to somebody, I think, yesterday in a mentoring session where I said, "We may need to call on a higher force. This is not my area." So, I think, you know, modelling humility and, in doing that, modelling limitation, and saying, "No one can know everything, and anyone that says that they do, give them a very wide berth," you know, I would. Andrew: It's a fear of...to me, it's a fear of inter-referral because of loss of business. Rachel: Well, is it? It could be. Absolutely, it could be something very practical like that. I wonder if also there is something a little bit about, you know, people’s feeling that they're going to look bad, it's a failing on their behalf, you know, that it diminishes their credibility in people's eyes. Nothing could be further from the truth. Rachel: One of the things I say to my mentees and my students all the time is, you know, when people come in with an exotic condition or an exotic drug, I'll be straight up and I'll say, "I've never heard of that before. I'm sure you know more about that than I do. You know, I'm gonna need to do some homework." And rather than that being received negatively, I always find that people respond to that very, very positively. Where they go, "Great, you’re going to go and do some homework." And, you know, and also you validate their knowledge about something as well and learn from that at the same time. So, you know, I think we have to try and, you know, see that knowing your limitations is actually a real strength, and I think that that's something that we need to keep practicing. Andrew: You know, I think you've touched on something very important there about giving power, automatically, back to the patient. That oftentimes they do know quite a bit about their condition. They've had to because that's why they're seeing you. They haven't been treated well with previous...let's say it's a previous model, I don't know, but, you know, whatever's gone before hasn't worked for them. That's why they're on your doorstep. I see no shame in saying, "God, I don't know anything here." I mean, the more I learn, the more ignorant I feel. And I've often said this, "The day that you think you know it all, hang up your shingle because you've just become arrogant. Go and do something else." 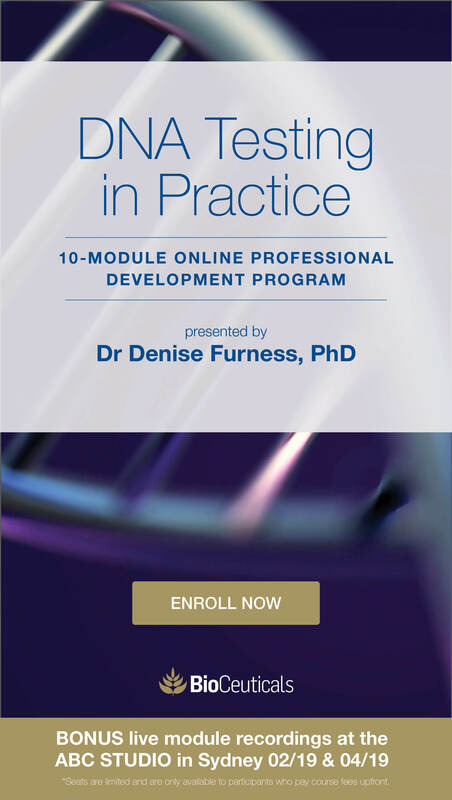 It's something that really concerns me when I...and I have heard a number of practitioners, both medical and complimentary, integrative, whatever you'd like to term it, say, "I can't learn anything more. I know all there is to know. Oh, um, Bye.” As you say, wide berth. Rachel: Yeah. That's a real worry. Andrew: There's too much to know. Andrew: The more idiotic I feel every day. Rachel: And I think that that's probably a good litmus test for all of us. You know, if you're finding yourself...because, you know, as naturopathic practitioners we do a hell of a lot of talking to our patients and, you know, I hear praccies say, "I feel like a broken record, I say the same things over and over," and, look, some of that is unavoidable because, of course, nobody is eating enough vegetables and everybody's eating the wrong carbohydrates. So, you know, there are some things that we're going to say over and over again. But, if you find that suddenly everybody looks like a nail, then you need to check that you're not a hammer, you know. If everybody's got high cortisol or low progesterone or whatever - a methylation issue, then I think you've really got to take that as a cue to step back and ask yourself whether you need to freshen up. Rachel: And I do that...yeah. And I do that as much as anybody else. This year I took on myself a new mentor, you know, and booked myself in for formal mentoring sessions because, for me, I thought, there's this one, you know, I've got a whole bunch of them on a list but, you know, there was this one particular area that I thought I really need to upskill in, I really need to learn from someone who knows a lot more than me about this. You know, I think it's good practice for all of us, no matter how long you are working as a clinician, to keep, refreshing your knowledge, and I think that that does need to have a healthy dose that comes from non-commercial sources because you know that's a big hot spot for me. That's a big touchy zone for me where I go, you know, “If all your upscaling comes from company-based conferences, seminars, webinars, then you are actually at risk of being misinformed.” You've actually got to really question whether, you know, that is the best quality information, and that is a situation that a lot of practitioners are in. Andrew: To provide the evidence. Rachel: Well, no. I said, to what extent did they feel that commercial influences impacted their practice choices? And these practitioners overwhelmingly said, "Not at all." Rachel: Absolutely. And this is an extraordinary...I mean, this is the thing about research. Sometimes you look for the things that perfectly add up and substantiate your hypothesis, and you go, "Yes, one plus one equals two and I've just proved that." And, sometimes you look for the glaring anomalies, and that was the big anomaly in my research was that, you know, overwhelmingly, people had learned about this particular product from industry sources. And then on the subsequent question they refused it, they denied that industry sources influence their practice choices at all. And, you know, that was one of those things that was like, wow, well how is this any different from all the published data that speaks to this phenomenon in the medical fraternity? Rachel: Because there are an enormous number of studies that have found that all doctors have to do is walk into a conference where they passed a banner, with a name on it, or pick up a pen that has a company name on it, drug manufacturer's name on it, and their prescription of that company's drugs will go up. That is overwhelmingly an established phenomenon. And the same naivety in terms of, "No, you know, I'm not influenced by industry," has been, again, documented extensively amongst doctors. So, you know, when I found this in my research back at SCU, I was like, gosh, you know, this isn't being talked about. This needs to be talked about because it's not that we can't use industry sources, that's an important, part of industry. But it's that if we don't recognise the influence and the power that they have, then we're not going to look for independent sources or value independent sources more highly, which is what we should be doing. And, that really concerns me because, as I said, there's not a lot of independent sources of education in Australia. Andrew: You get mentorship yourself, you constantly question yourself. What do you teach those whom you mentor? What do you teach them once they’ve finished with your mentorship about how to go out into the world and practice? Rachel: Well, I think, you know, I think they learn, as I said, by virtue of the modelling. So they see me wrack my brain over their difficult client cases, and we bounce ideas off each other. So, you know, they're bearing witness to that process of, you know, deduction and critical thinking and, you know, the synthesis of ideas, all of that together. I think one of the things that comes across very clearly as part of that process is the need to, you know, to put greater reliance on primary sources of information rather than secondary or tertiary, and really helping practitioners to feel confident about how to find those primary sources that are really relevant and really accessible to them. And, you know, one of the things that we talk about in terms of solving this conundrum of, you know, bias is just helping people to, one; know it exists. As you said, that could be in, you know...the bias could be just because of the speaker's bias, not necessarily a company. But one; knowing that it exists, and two; looking or specifically asking the question that helps them to elucidate what that bias actually is. You know, I think that there's not enough transparency. A lot of the time in Australia, when it comes to people declaring conflicts of interest. Declaring their disclaimers. That's something I talk about a lot when I'm doing my mentorship program. You know, if I mention a particular product, for example, I'll say, "The reason why I'm mentioning this product is because it is familiar to me." I am not saying, for example, that it's better than, you know, X, Y, and Z. Other products, I don't have experience in that area. Or, even.. sometimes I'll say, you know, "I'm talking about this product but, you know, you all know that this is the product that I'm more familiar with because I've worked with this company." So I think, you know, just encouraging people to really...practitioners to really know how to judge the quality of the source. You know, whether it's written, whether it's verbal, whether it's whatever, but helping them to really think through, is there a bias here, what would that bias be, and factoring that in then on the weight that they place on that evidence. I think, you know, that is something that comes across very clearly through the program. Andrew: Now, we have to mention that program because it's pertinent, and that is rachelarthur.com.au. So, Rachel, I've gotta thank you so much for not just taking us through what a mentorship, indeed your mentorship program does. But teaching our listeners to constantly, constantly question what they think is right, indeed, what they think is in front of them, for the benefit of the patient in front of them. And that, I think, is a real, true lesson that we can take home from all of your teachings, is that you have the patient in mind. So, very well done, and thank you so much for joining us on FX Medicine today.